Recompose was created by Anthony DeVincenzi, Matthew Blackshaw, Dávid Lakatos, Daniel Leithinger, and Hiroshi Ishii at MIT Media Lab. Formally, the team describes Recompose as “direct and gestural interaction with an actuated surface.” Basically, it’s a touch-based interface that touches back, using physical tiles (like the keys on a keyboard) mounted on little pedestals that can rise or sink based on direct input (ie, pushing them like buttons) or gestural input (waving your hands over them like a Jedi master). But the extra bit of genius in Recompose is its third purpose as a display device. 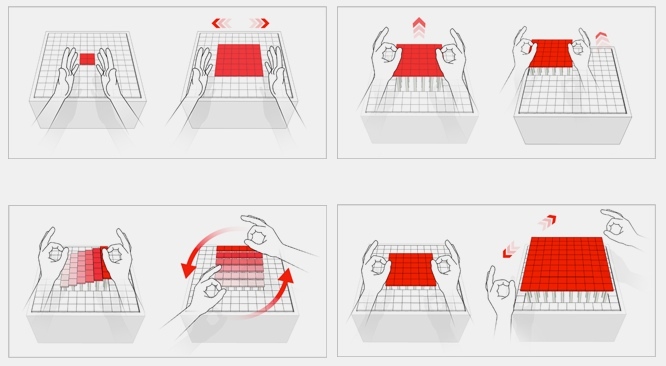 Actuators in the tiles can provide force-feedback to your fingers to “display” tactile information about your data (this could be useful for CAD designs or sophisticated maps or scientific visualizations). 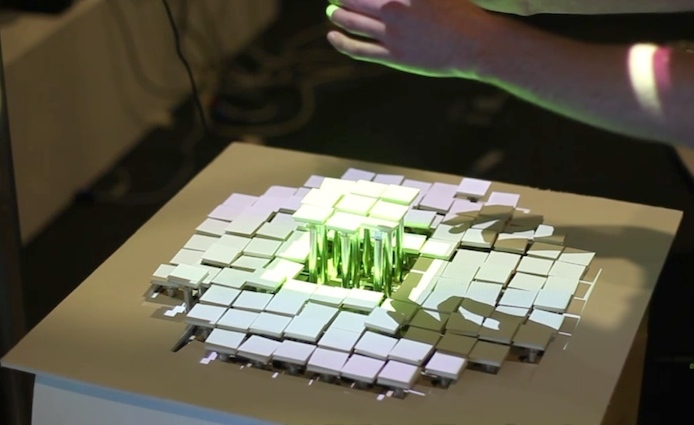 Plus, since it’s literally a grid of physical objects, it can display information visually by morphing its own topography in 3D. Bar charts just got way more awesome. 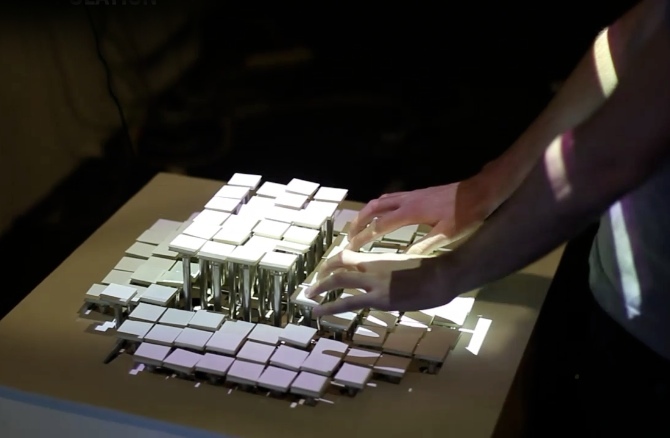 Recompose has 3D gestural commands for magnifying, moving, rotating and tilting digital objects.